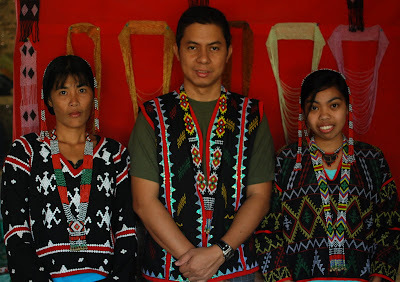 I am supposed to see the Lemlunay Festival, a Tboli ethnic festival, in the quaint town of Lake Sebu but it was already held a week before I came in. I got a bit disappointed since based on my research it falls on the time I will be arriving the place. Nevertheless my time was not wasted because there was so much to explore and cover in this town. Lake Sebu is a natural lake that is located in the town of Lake Sebu in South Cotabato province. It is a very important watershed because it is used for irrigation in the said province and its neighbor Sultan Kudarat. 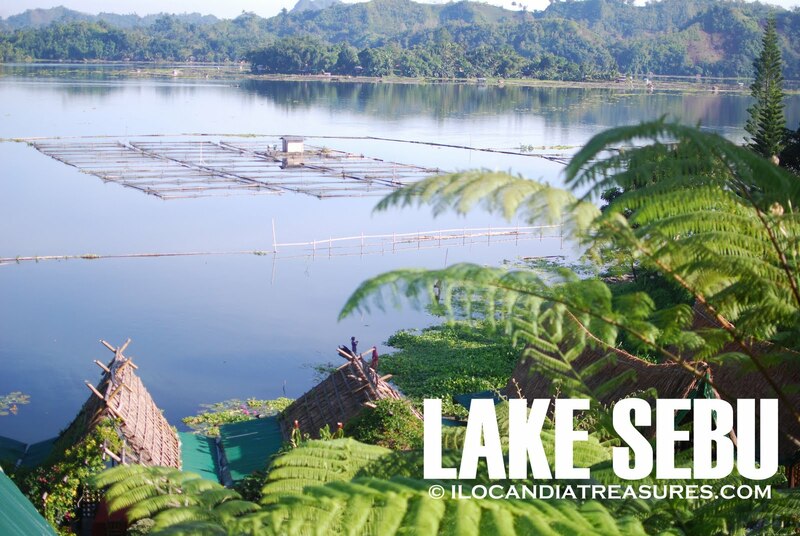 Lake Sebu is considered the home of the T’bolis and their ancestral domain. It was formerly a village of Surralah but became an independent town. Its population of more than 60,000 is distributed in 19 different barangays. I was able to get a promo fare of Php 2, 600 for a roundtrip Manila to Gensan City from Cebu Pacific Airline. I was surprised that at the airport I met some people who speak Ilocano. I took a taxi which cost P150 to the bus terminal of Marbel. The aircon bus was P75 for an hour ride, then another bus to Surralah which cost Php24 then a van for Php35 to the town of Lake Sebu. I arrived there half past 12 noon and took my lunch. Then it rained cats and dogs. After it I took a single motorcyle or habal habal to Punta Isla. It is a very nice resort which is considered as number 1 resort in the area. I took one room with two double beds for only 420. I slept the entire afternoon then took a dinner of paksiw tilapia. 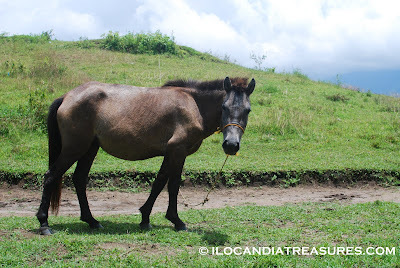 On the following day, I started my day early with a banca ride in Lake Sebu. I saw young boys so I requested one of them to take me around the lake. I saw fishpen and fishermen. I saw lotus plants and flowers. I saw their catch of tilapia which was delivered to the resort’s resto. 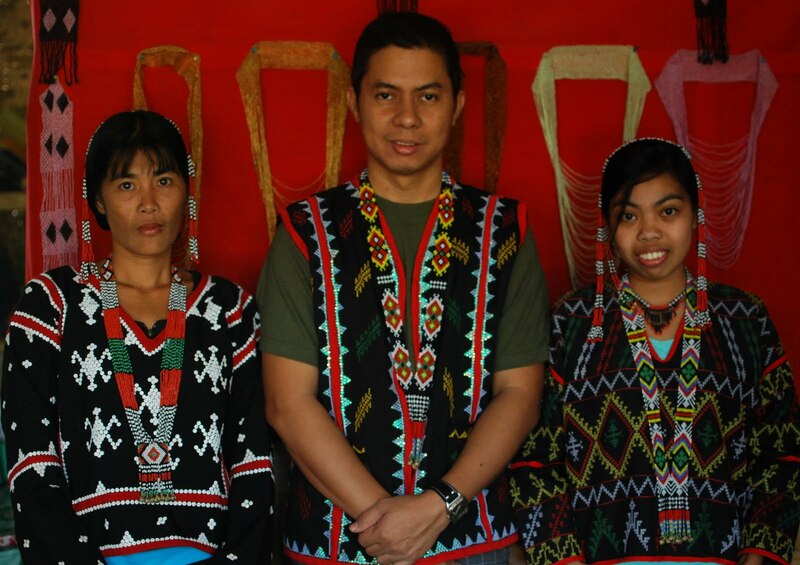 Then went to the souvenir shop where I had the chance to don the tinalak costume and took photo with the Tboli ladies. I rented a motorcycle with driver Archie who took me around town which I paid only 200 for half day tour. He took me first at the Seven Falls. The first two falls are the ones easily accessible. It was a long falls but the water was not that clear. There was even zipline available to the public from falls 1 to falls 2. Then we went to the deepest lake Seloton where there is also a nice resort on its side. Some men were fishing tilapias. I saw some horses on the fields we passed by. These horses participate in horsefighting during festival. We headed to the market and there were other freshwater fish aside from tilapia. I really want to see the tinalak weaving and incidentally the people from Gawad sa Manlilikha ng Bayan of NCCA were there documenting the procedures. I met Ms Cecil and Dr. Norma. I had the opportunity to personally meet Lang Dulay of the tinalak fame. She was awarded the title of National Living Treasure. She is already old and gets easily tired of doing the weave. But she has family and grandchildren who help her do the weaving. 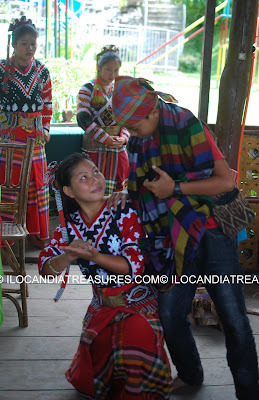 Last stop was the Tboli museum where I had a try of the putong or pugong, a head gear for the Tboli men and finally I have watched cultural performances of a group of young students.